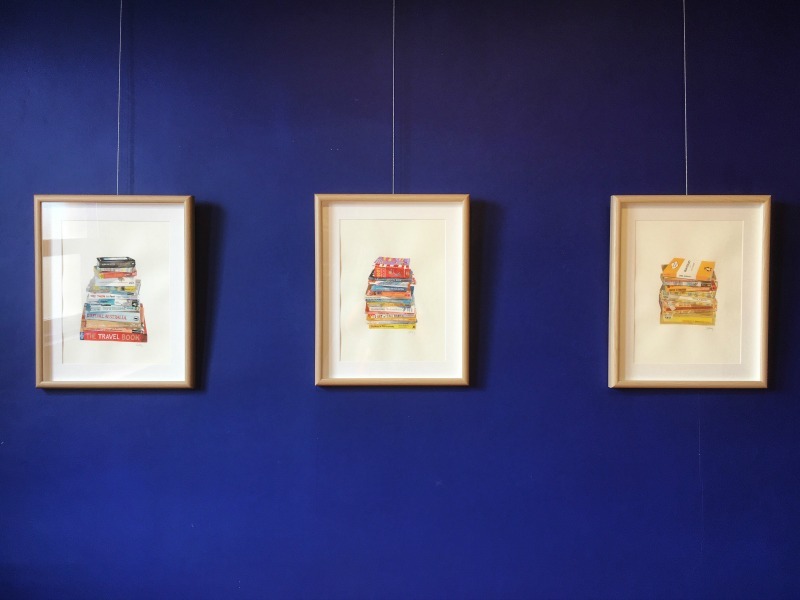 For the last year I've been working on a series of paintings depicting book stacks. 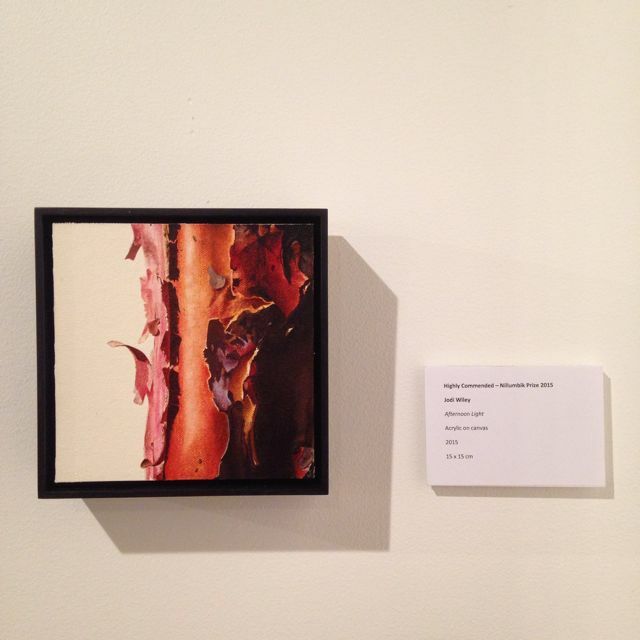 The resulting show - 'Marginalia' - is now on. 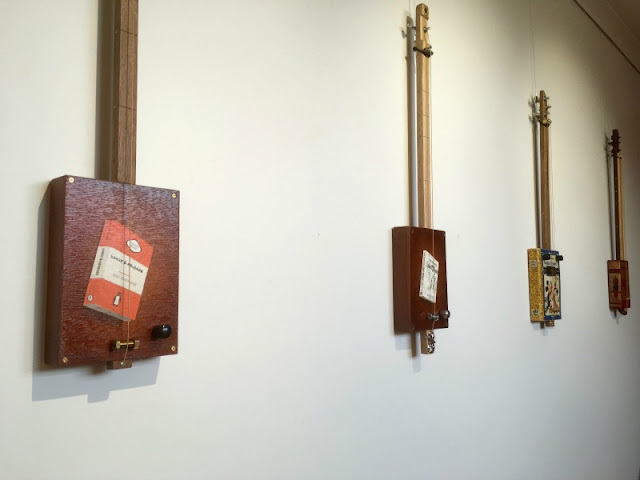 There are 21 originals works and book guitars by Kim Wiley made in the cigar-box tradition. 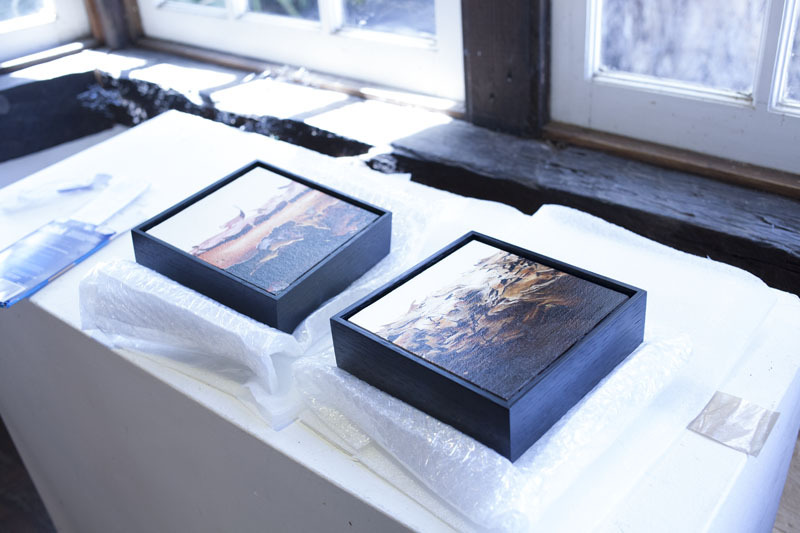 I have painted books on some of the hand-crafted boxes, which was great fun. Other guitars are made from real vintage books. And they sound great! Books have always played an important role in my life. 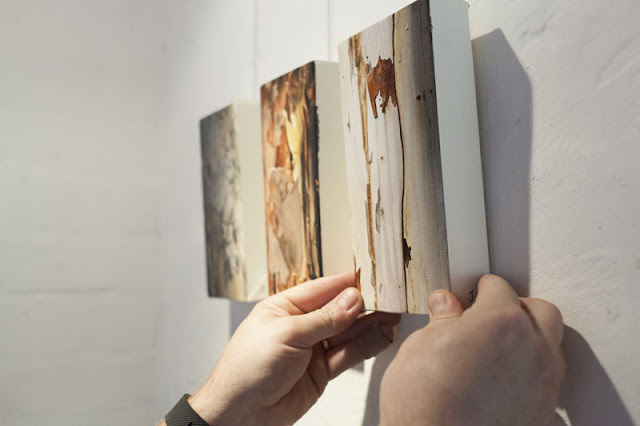 Their physical presence serves as a kind of autobiography marking periods of time. Despite the advent of digital libraries and the decreasing space on my bookshelf I find it hard to part with books. 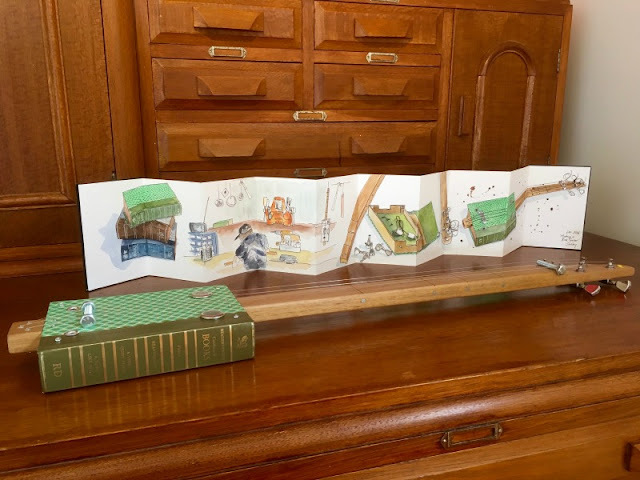 I initially embarked on this body of work thinking that painting some of these books would release me from their sentimental pull and I would then be able to cull them. Paradoxically, now that they have been painted, another layer of meaning is added to their story and I’m even more reluctant to let them go. Each painting depicts books I own or have sourced from my family. When I look at each book stack there is a flood of memories and feelings. 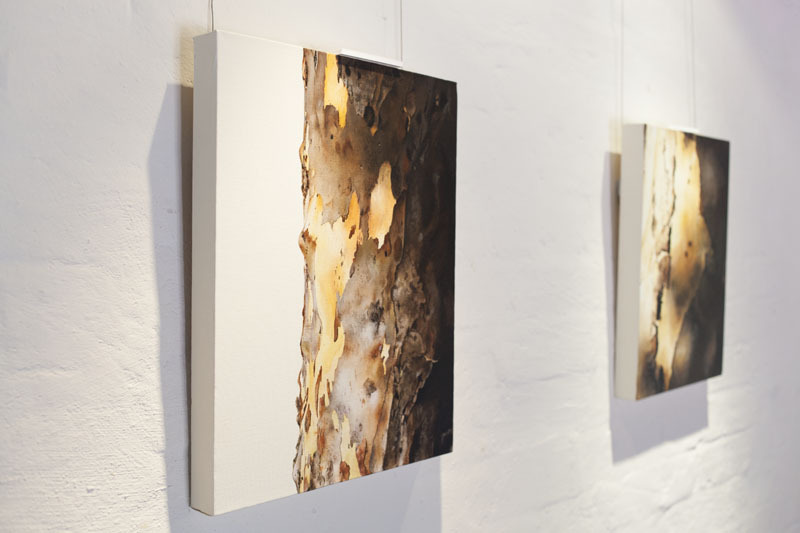 Each painting contains multiple narratives - my own personal history intertwines with the stories within them. The fact that many other people have special memories attached to the same books means the narrative possibilities within each book stack are infinite. Our mode of daily communication is increasingly digital but physical books will always have a place, not as mere marginalia but as treasured objects representing more than the words between the covers. You can view the paintings on my website here. And for the first time ever I have prints available for purchase at the show. Yesterday the show went up. 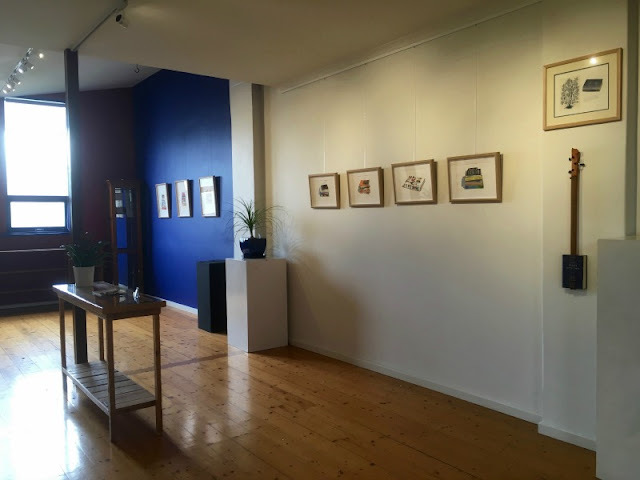 After more than a year of working alone on these paintings it was such an amazing feeling to put them up on the wall to share them with others. 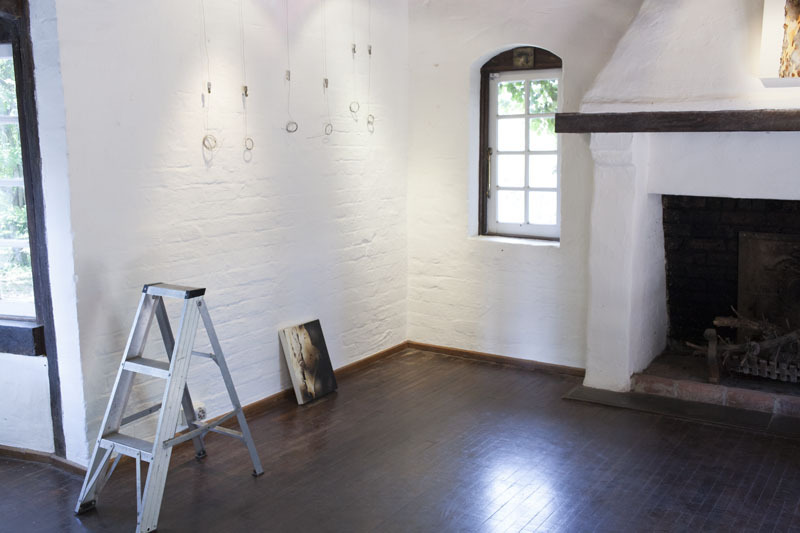 The venue - the Residents Gallery at Montsalvat - couldn't be more perfect. There was no way I could have hung the show alone though. 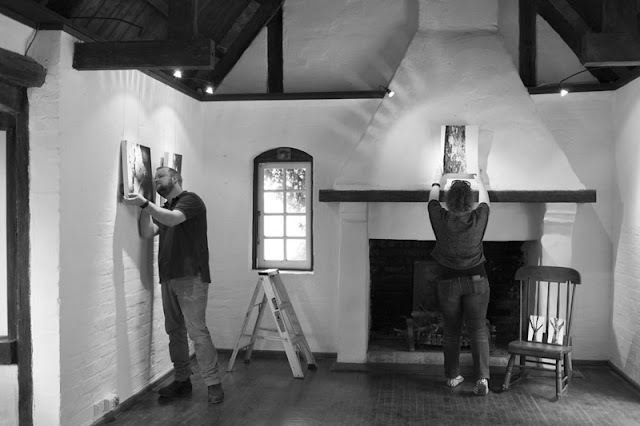 I was so lucky to have my husband, Kim, come along to help, a lovely volunteer from Montsalvat, Taleen, and my friend and photographer, Maria Colaidis. 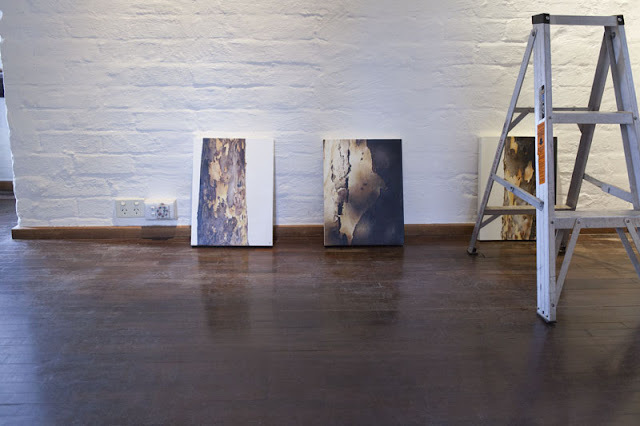 Maria took the most amazing series of photos throughout the day which tell the story of installing the show and also give such a beautiful sense of what the space is like and how the paintings look. It makes me so happy to have this record of the day and to be able to share some of these photos with you. Today I gave an artist floor talk, which was really fun to do. I thought I might write a bit of a recap of some of the things I talked about today in my first newsletter mail-out very soon. If you'd like to receive it please subscribe here. 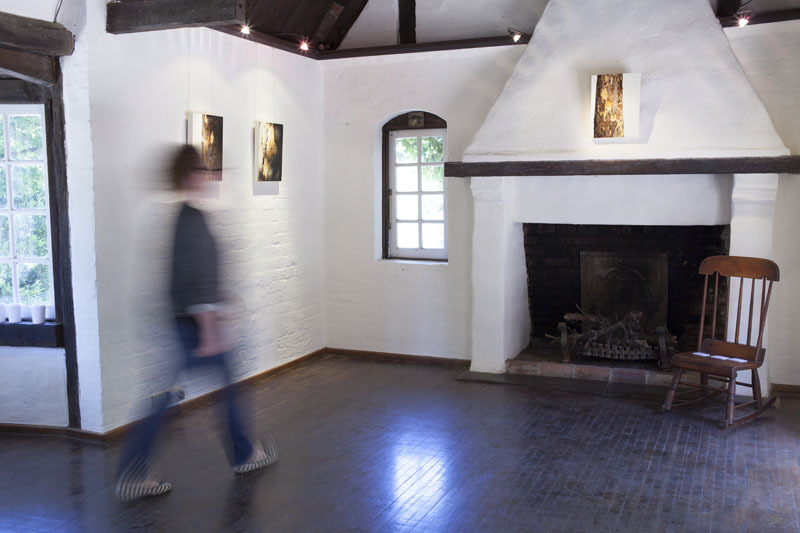 My solo show 'Home Is Where the Light Is' is on at Montsalvat from today until 17 January 2016. This Sunday 29th November I will be in the gallery from 1pm-4pm - please come and say hi! 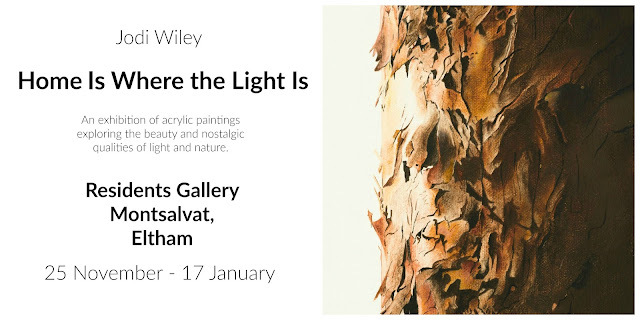 For more than twelve months I have been working on highly detailed acrylic tree paintings for my exhibition Home Is Where the Light Is which I will be hanging at Montsalvat next week. When I'm deep in the painting, it's pure bliss. I put on a podcast and lose myself in the work. There is nothing better than being in that flow. But now that the painting is finished, it's time to do all the practical things that need to be done to make the exhibition happen. A few weeks ago I varnished all the work. This is always a good feeling because it brings out the colour and the texture and really 'finishes' the paintings in a way that is exciting to see. I also made a bunch of beautiful square-shaped business cards using some of the work from the show. I really love how they've turned out and I will have these available at the venue for people to take. I am thinking about having a guest book for visitors to sign. What do you think? 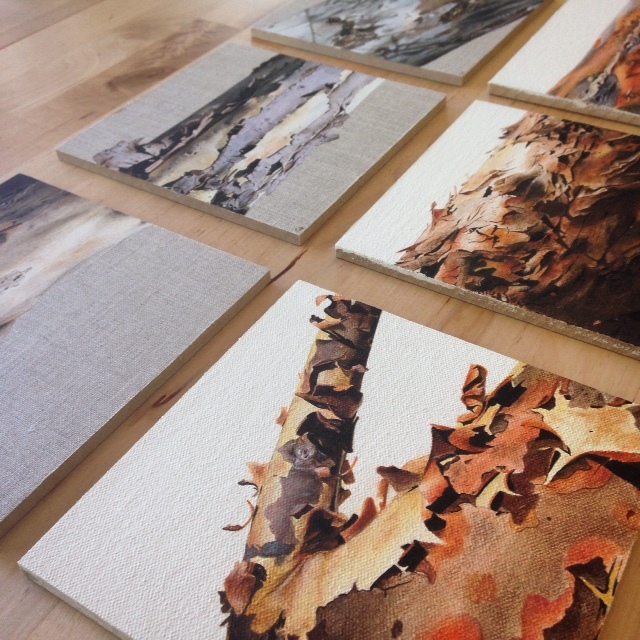 A while ago I also put in some of my paintings to be framed. This is what they looked like before they went off. 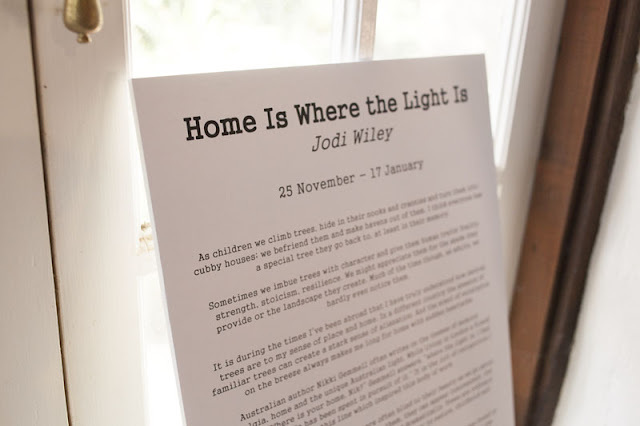 The next thing on my 'to do' list is to send out my first ever email newsletter. Would you like to receive it? My plan is for this to be a very occasional mail-out which will include newsy things and other interesting art-related stuff (I'm going to wing it, you'll just have to trust me). If you would like to be on it you can sign up over on the right-hand sidebar where it says 'subscribe to my mailing list'. I assure you, the mail-outs will be irregular! 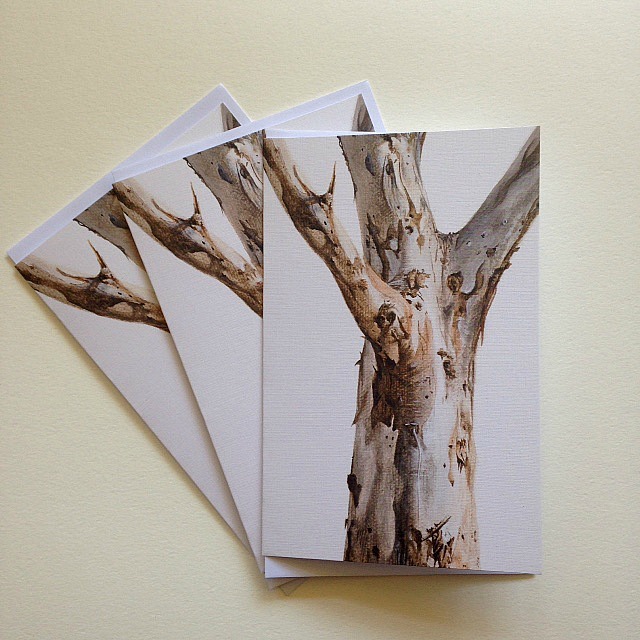 As an incentive, anyone who signs up from now until this Sunday 22nd November 2015, 5pm (AEDT) will have a chance to win a set of three greeting cards depicting my painting 'Local Gum'. If you've already signed up, you're in the draw. This is open to anyone around the world. 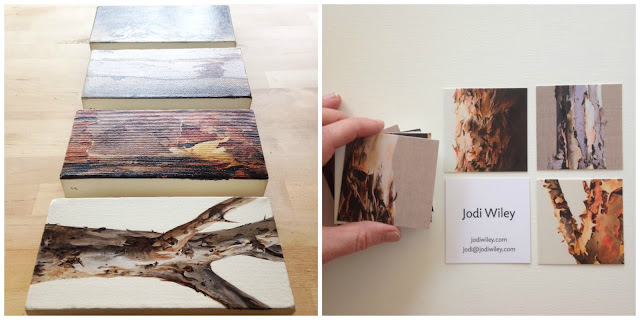 My first newsletter mailout will be next week! 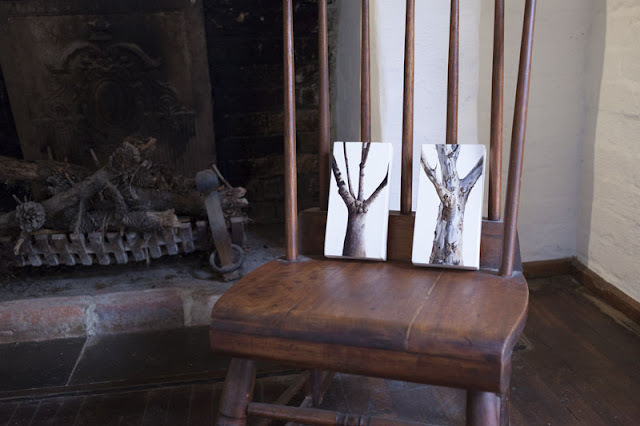 I can't wait to show this new work in the beautiful Residents Gallery at Montsalvat. 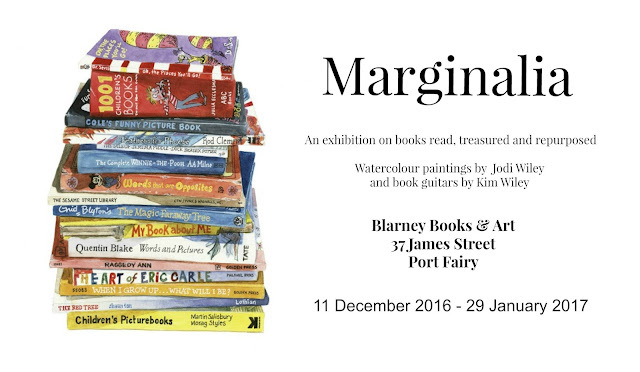 There will be 17 new paintings on show and for sale. For more information head over to the Montsalvat website. 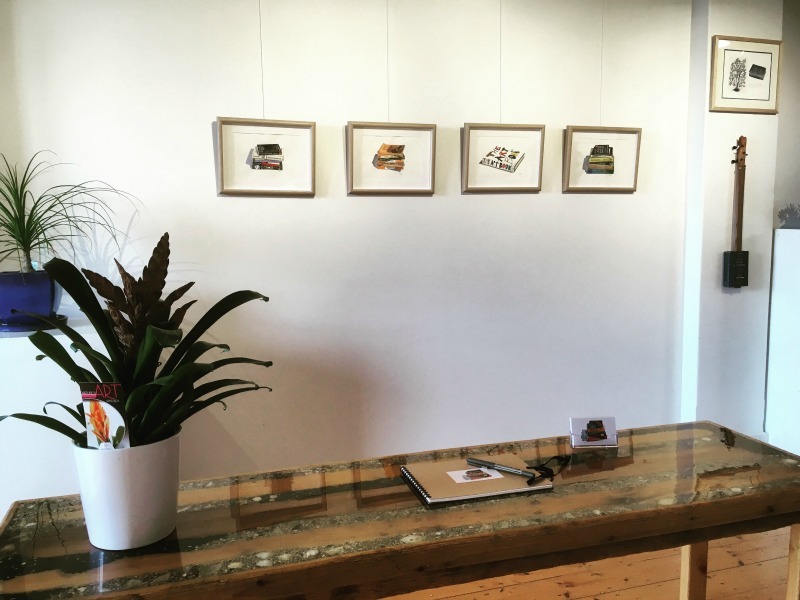 I will also be doing an Artist Floor Talk on Wednesday 25 November 2015, 11am-12pm and a casual, drop-in 'Meet the Artist' session on Sunday 29 November 2015, 1pm-4pm. It has been a wonderful and surprising couple of weeks. Last Thursday I was awarded Highly Commended in the Nillumbik Prize 2015 at Montsalvat by judge, Melinda Martin. It was such an honour to receive this acknowledgement. When my name was called, my three-year-old took off after me through the crowd, so I grasped her hand and brought her up onto the stage with me to receive the prize. I'm not sure who was more stunned to find herself up there, me or her. 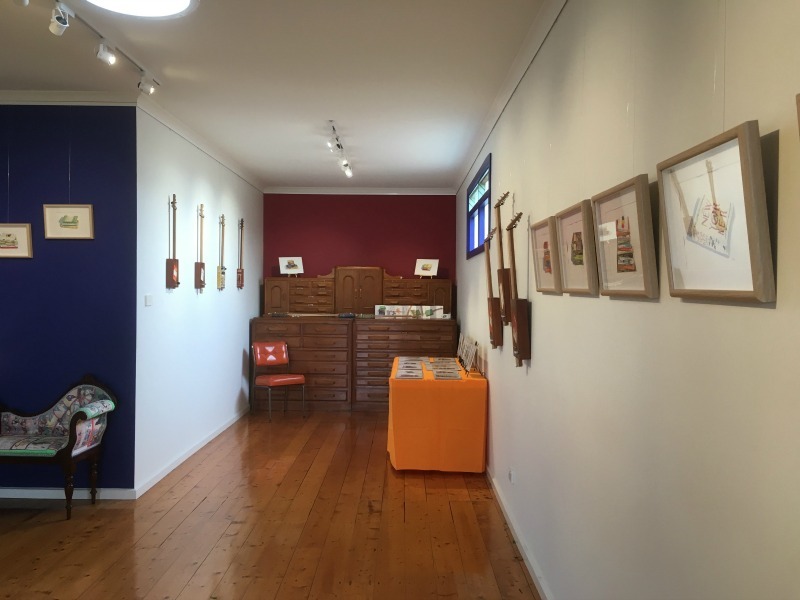 Then last weekend we travelled to Port Fairy to attend the opening of the Biblio-Art award. It is a beautiful, unique exhibition of book-based art and it was nice to hear my painting mentioned by one of the judges, Katherine Hattam, whose work I greatly admire, when she delivered her commentary about the decision-making process. Following on from these two happy events, this week I had the amazing and surprising experience of being featured on The Jealous Curator. 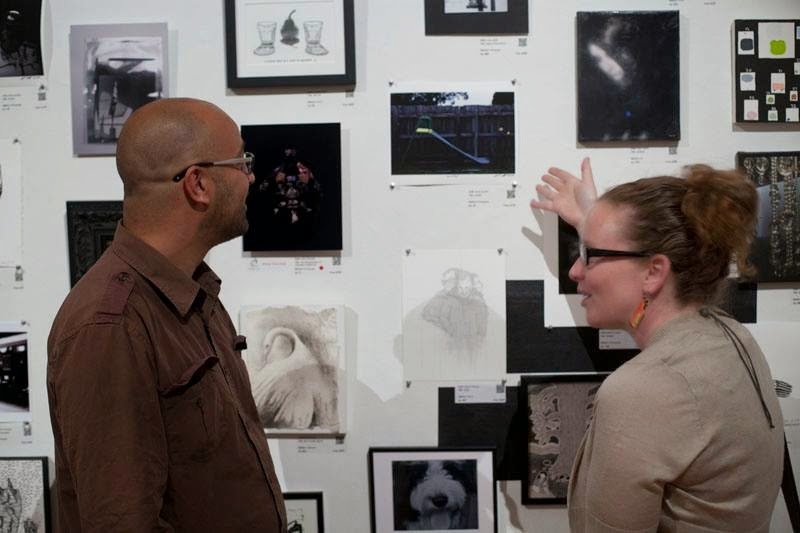 This was overwhelming and I'm so very grateful for all the new interest in my work. And now, back to the studio. My upcoming exhibition is not going to paint itself! It's been quiet on this blog recently because I've been working hard to finish a major painting project, which I'll write about soon. But in the meantime I thought I'd show some other new work. This painting was made as a gift late last year. It's the first time I've had work framed and I love the result. I'm currently painting a new body of work for my solo show at Montsalvat at the end of November, and this painting shows the direction I'm exploring. 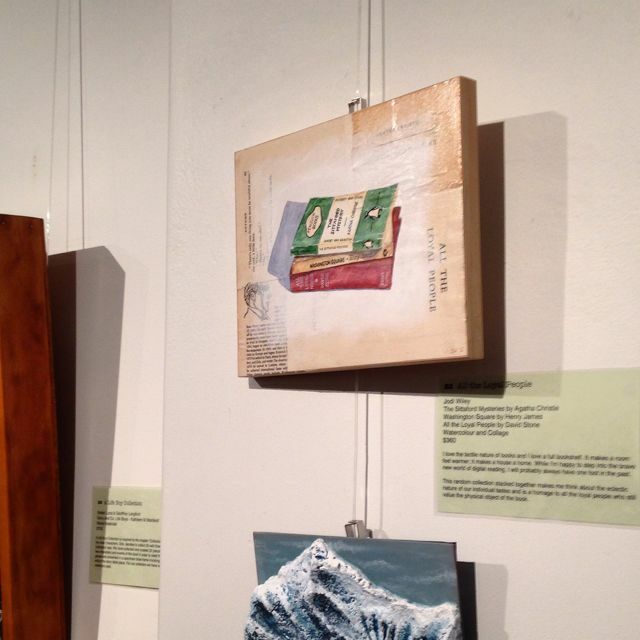 I have three paintings in this year's Linden Postcard Show from a little series I've been working on. 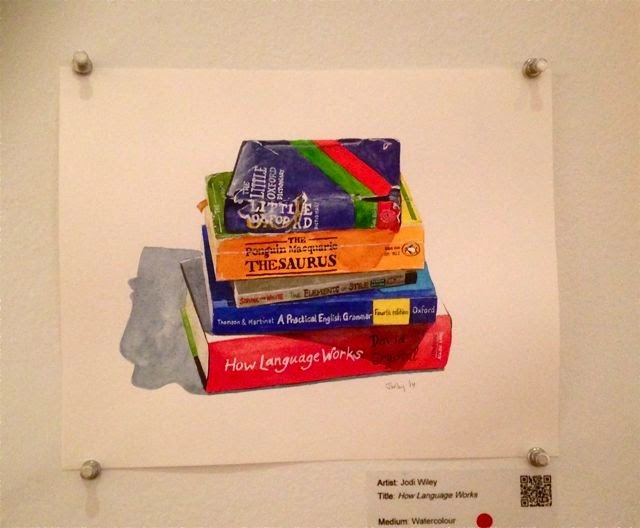 My painting How Language Works sold on opening night last Friday, which made a great night even better. It's a fantastic exhibition, showing a huge array of artwork in different media and styles. Well worth a visit. Make sure you also look out for the work of my friends and fellow artists: Maria Colaidis, David Apostol, Evelyn Howard (Yee) and Alissa Duke. 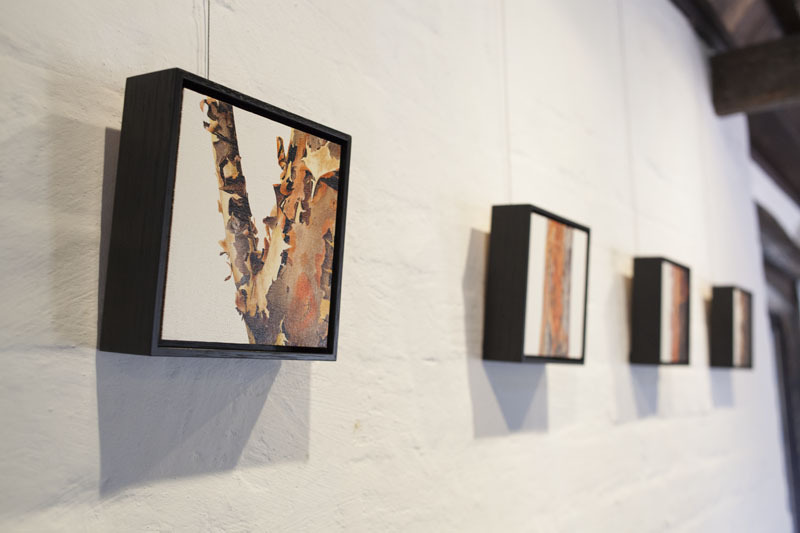 The show runs until 6th December, 2014. More details on the Linden Gallery website.